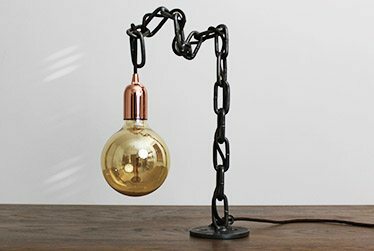 Our chain lamps are currently unavailable to purchase online. If you wish to purchase a lamp please contact us via email on sales@russelloakandsteel.com. We are due to introduce a new set of lamps to match our furniture in April 2019. 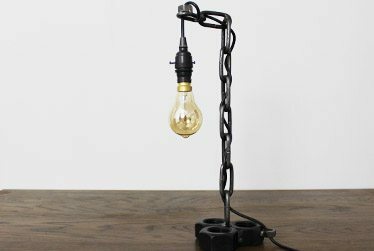 Quality handmade large industrial chain style table lamp. This design features a unique arch like bend. 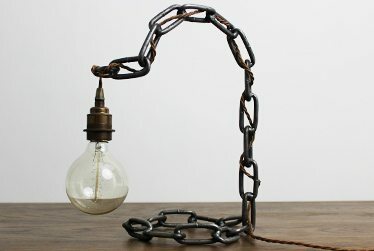 Industrial style chain link desk lamp with a unique roll type design. Features a unique bolt to wood style base. Engineer style industrial table light handmade to order. This design features a bolt to wood base also which gives you the option to secure it to your own wood. 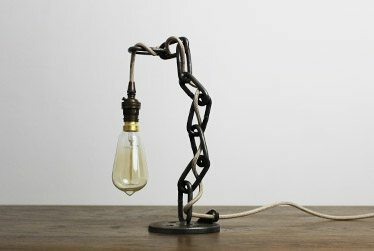 A stand alone unique chain link style lamp with option to bolt onto your own wood piece or table top. View bespoke options in our shop. Handmade industrial style bedside lamp which features a heavy duty bolt base to keep the lamp stable. 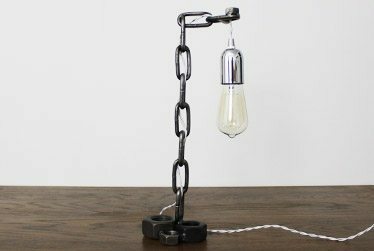 The base on this industrial style lamp features a mixture of small and large nuts. View our shop to view customisable options. If your looking for a bespoke set of vintage industrial desk lamps you have come to the right place. We are based in the UK and specialise in creating unique made to order vintage style lamps and lights. You can go through our selection online and customise your lamp with various features and fittings. Not only do our sizes suit industrial desk lamps but also floor lamps. It is a new and exiting part of our industrial furniture selection. View our different range of industrial floor lamps and see what suits your needs. These are ideal for the home or office environment. If you need bespoke sizes please do contact us before purchasing for a bespoke quote. We can ship our industrial floor lamps nationwide across the UK including London as well as worldwide! A great place for these lamps can be on a bedside table! We do have bedside style tables in our vintage furniture collection. 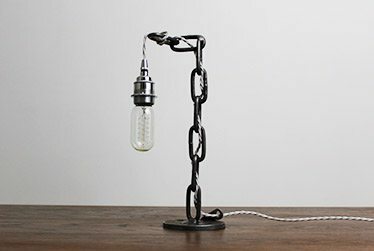 Industrial bedside lamps are hard to come by, so we have created this section of our website specifically to benefit those looking for that unique style industrial lamps. Many companies purchase industrial office desk lamps and lights from us together with tables and industrial office desks. It does benefit to purchase the complete package from us so we can make the desks and tables with pilot wholes for your industrial style lamps and cables to fit. If you have any questions about our industrial table lamps please don’t hesitate to contact a member of our team.